A confessional, uplifting memoir from the beloved YouTube personality. 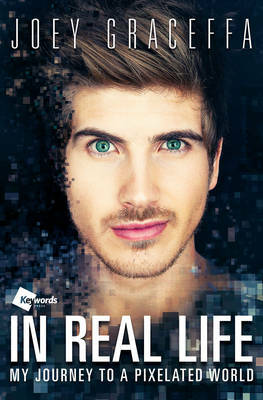 Twenty-three year old Joey Graceffa has captured the hearts of millions of teens and young adults through his playful, sweet, and inspirational YouTube presence (not to mention his sparkling eyes and perfect hair). Yet, Joey wasn't always comfortable in his skin, and in this candid memoir, he thoughtfully looks back on his journey from pain to pride, self-doubt to self-acceptance. To his fans, Joey is that best friend who always captures the brighter side of life but also isn't afraid to get real. In the pages of his first book, he opens up about his years of struggling with family hardships and troubles at school, with cruel bullying and the sting of rejection. He tells of first loves and losses, embarrassing moments and surprising discoveries, loneliness, laughter, and life-changing forks in the road, showing us the incalculable value of finally finding and following your true passion in this world. Funny, warm-hearted, and inspiring, Joey Graceffa's story is a welcome reminder that it's not where you begin that matters, but where you end up. Joey Graceffa is one of the fastest-growing personalities on YouTube. A popular brand ambassador, he has partnered with Topshop, Audible, eBay, and H&R Block. In 2013, between his daily vlogs and gameplay videos, Joey produced and starred in his own Kickstarter-funded supernatural series, "Storytellers," for which he won a Streamy Award. He also starred in The Amazing Race on CBS and returned in 2014 for the all-star edition. He grew up with his family in Boston before moving to Los Angeles to pursue a career in entertainment.